Cover Reveal for Tempted by the - Lion? As promised, here's my cover reveal for Tempted by the - Lion? (Riverford Shifters Book 5), the final book in Kylie's family arc with a romance that centers on Hunter's big brother, Ryder. It is tentatively scheduled for release in either Sept or Oct 2016 after Memories of an Elven Prince. I'll post a blurb closer to release. Labels: Cover Reveal, Cristina Rayne, Jaguar Shifters, paranormal romance, Riverford Shifters, Tempted by the - Lion? 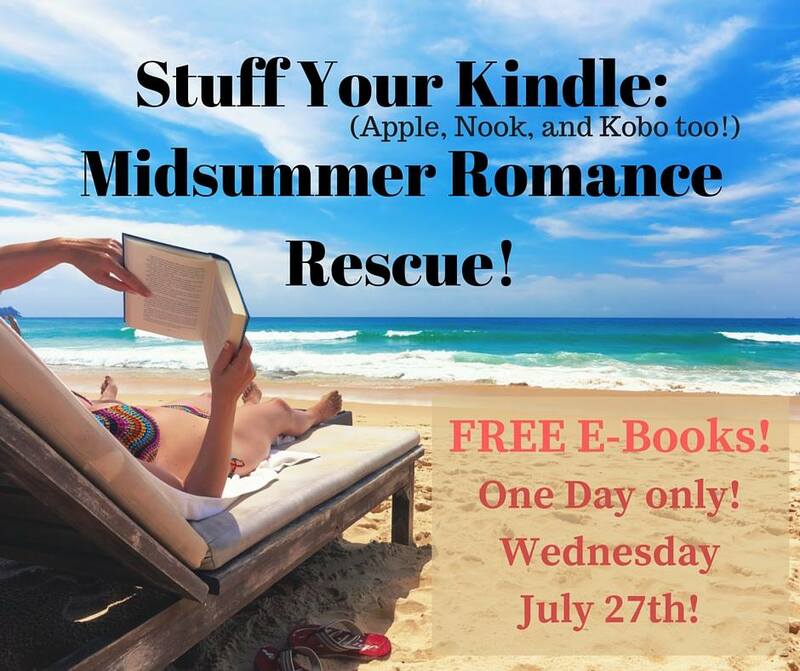 KINDLE / KOBO / ANDROID / NOOK / IPHONE! However you read ebooks, we’ve got a list of dozens of FREE ROMANCES of every flavor so you can stock up for the last weeks of summer (or winter if you’re down under)!